Site clearance and conservation events, weekends from 10.00 am. August, and the Indian Summer continued at Hemingfield. Site Manager Glen was joined by Friends Chair Steve in opening the site. Tales of summer holidays were in the air as regular volunteers John and Chris arrived. The Friends would also be delighted to receive a special group of visitors. 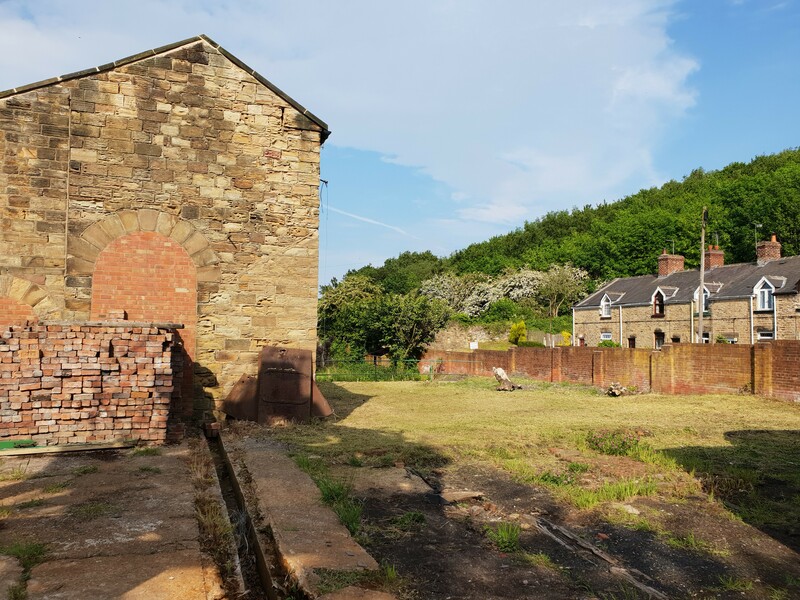 As we continued to bask in the endless heat and light of a positively Indian Summer in 2018, the Friends of Hemingfield Colliery gathered once more to get to wrap up the dig, and to make headway in preparations for repairing the rear wall. The End of June 2018 was marked by a series of fascinating and impressive events, part of the Experience Barnsley Festival, arranged to celebrate the 5th anniversary of the opening of Experience Barnsley, museum and discovery centre which has really transformed how local people access and experience the cultural heritage of Barnsley. The beginning of June 2018 was marked by unrelenting sunshine, blue skies and the reluctant admission that yes, Summer is indeed here. Site Manager Glen opened the gates to regular volunteers Alan, John, Keith and Chris. Friends chair Steve was also present and catch up with the results of recent working parties. 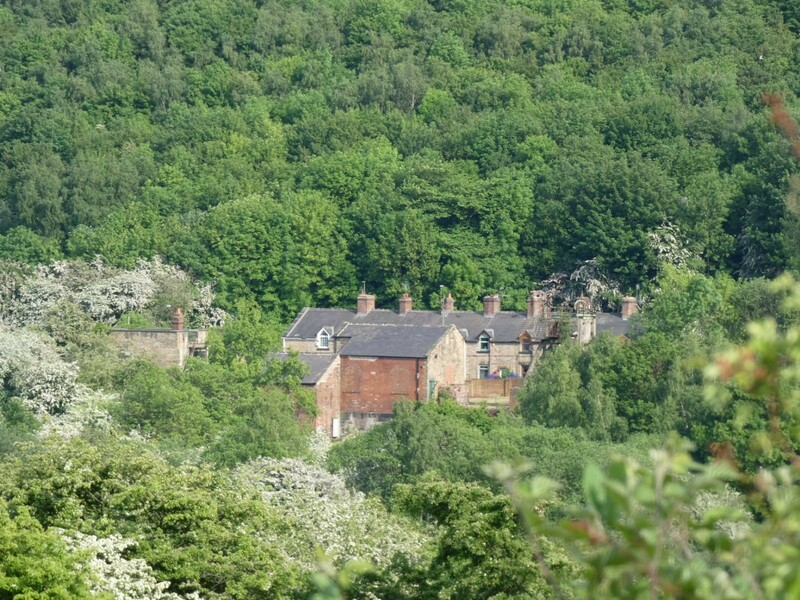 Heading to the colliery on foot from the green hills beyond the village of Hemingfield itself, the pit first appears as a wooded hollow. 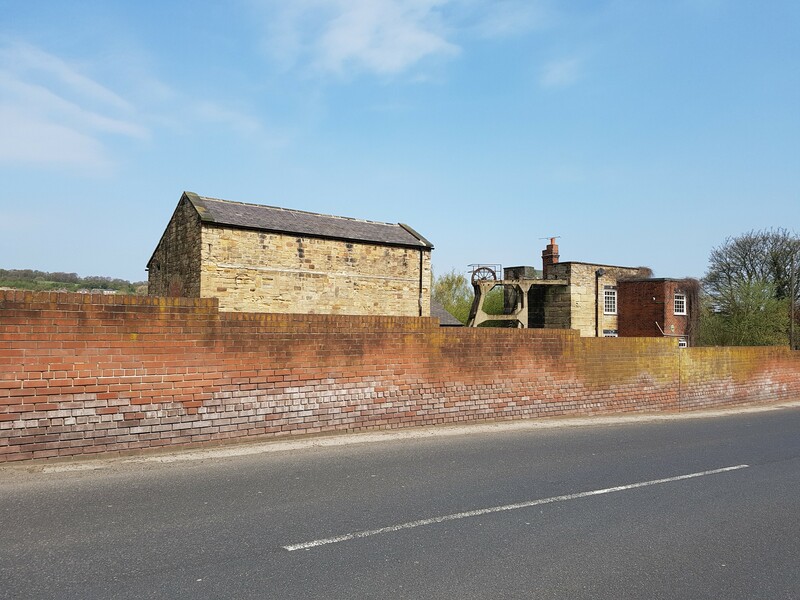 The huddle of cottages at Pit Row guide the eye to the right level, on the far side of the canal bank, at the foot of a densely wooden hillside – really the landscaped spoil heap of Hemingfield’s younger sibling, Elsecar Main Colliery. Standing proudly over the canal and railway line is the main headgear, its concrete geometry contrasting with the lush green leaves swaying in the breeze. Standing in the distinctive lines of its shadow, the Friends and regular volunteers collected tools and headed out around the site to get to work. 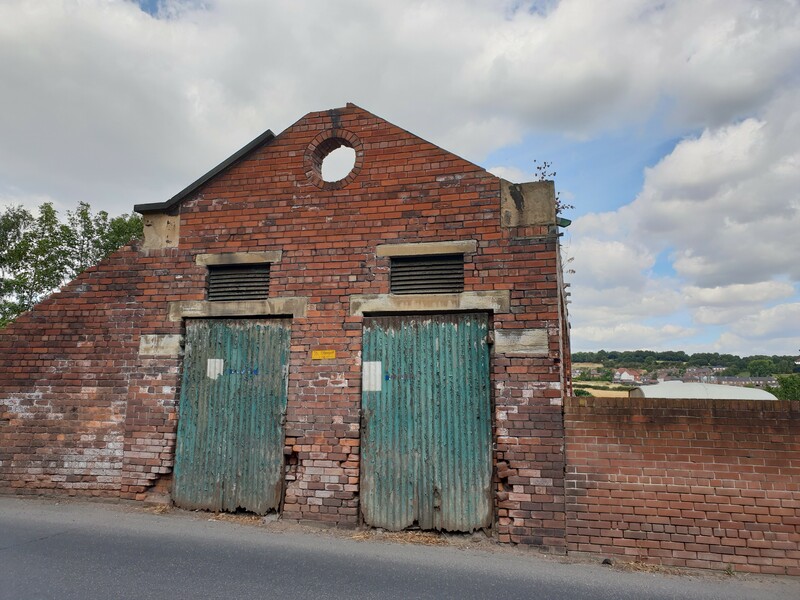 A big part of the Friends’ work is taking pride in looking after the pit; taking care of this remarkable survival of the Victorian age is a privilege, and as a survivor, the site has been no stranger to the effects of neglect and vandalism. 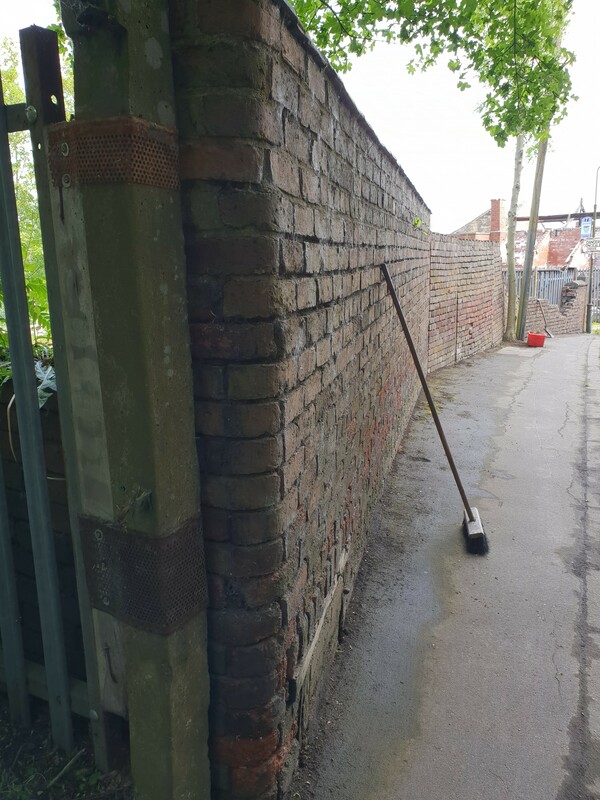 Stepping out of the gates, and grabbing a brush, shovel and take, it is good to keep the gateway to the site clean and tidy. 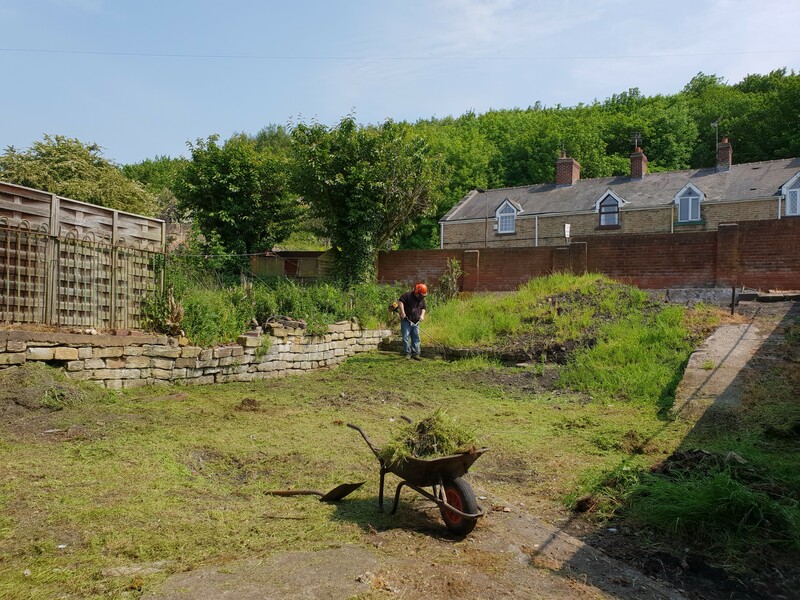 Elsewhere around the yard, Site Manager Glen powered up the strimmer and got to grips with the long grass, whilst regular volunteer Chris raked up the cuttings and cleared the lower level by the pumping shaft. The sun was fierce on Saturday, but the working party on site were still a little cooler than the firemen on the footplate of the steam engine racing by on the Elsecar Heritage Railway line below. 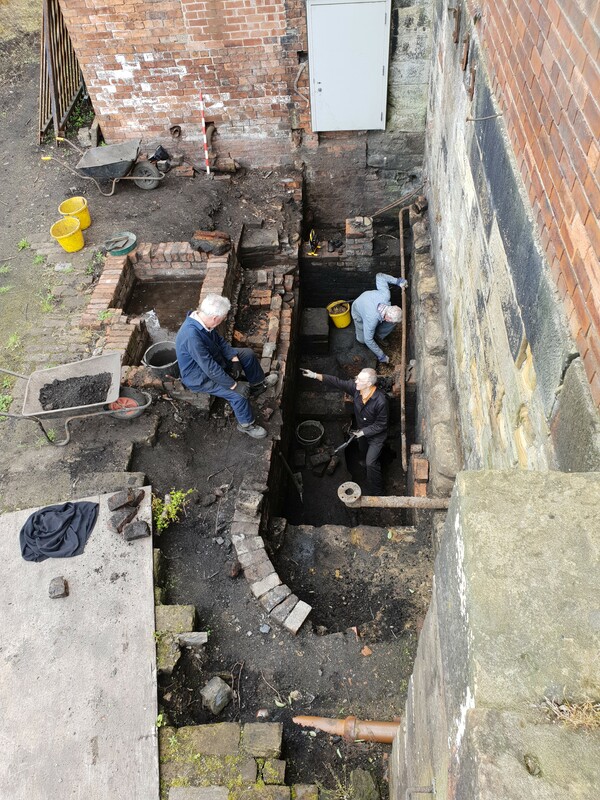 Keeping cool in the moderate shade of the winding engine house were ‘the crew’ – regular volunteers Nigel, Alan, John and Keith returned to the fray, excavating the pit feature which is now two metres down from where we once stood a couple of years ago. As features emerge, trowel work takes the place of the shovels of demolition rubble, as we seek to assess and interpret what the pit was used for, and record it’s features including compacted coal, and the tantalising drainage feature which suggests we have hit the bottom. Trowels and tribulations, carefully excavating compacted coal, possibly a pile for a boiler? Pausing for lunch before rounding off the digging, strumming, raking, sweeping, narrowing and brick chipping. The Friends returned home to a well earned glass of water/pop/juice/beer [delete as applicable]. All pleased with another pleasant day spent on site at Hemingfield under blue skies with hopefully none-too-reddening necks! Settling back into the routine of normal Open Days as the good weather continued, the Friends of Hemingfield Colliery welcomed a good group of volunteers and visitors to the site. Site Director Glen, and Friends Chair Steve opened the gates to regular volunteers Nigel, Alan, John, Paul, Keith, together with our Peak district friends John, Chris and Phil. It was a full house, and with effort to spare, the team continued work on excavating the pit at the rear of the winding engine house. 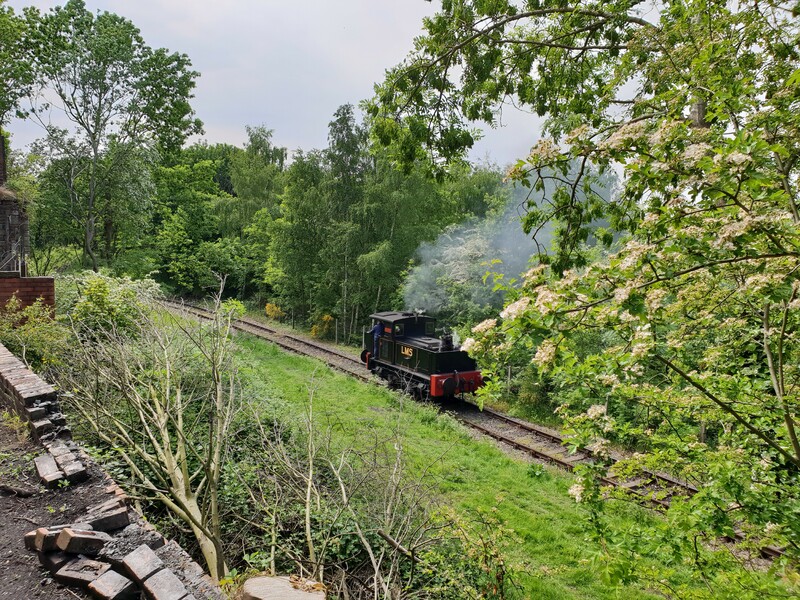 Hot, bright sunshine shone down across the valley from Elsecar on Saturday as the Friends and regular volunteers arrived at the pit for the final Open Day in April. 2018 has truly flown by! With Site Manager Glen out on assignment, regular volunteer Keith opened up the gates. He was joined by a good band of volunteers, Paul, John, Mike and Barrie. A fair array of brimmed headwear was on show, most sporting baseball caps, before the arrival of Chris, who was seeking deep cover under a cricket hat. The end of March 2018 was a wonderfully busy day on site with Friends Chair Steve, and Directors Glen and Christine welcoming regular volunteers Alan, Nigel, Paul, Keith and Chris during the morning. The focus of the day was to finishing up excavation work at the rear of the winding engine house, continuing recording work on progress to date, and also permitting the working party to move on to other tasks on site as the Friends (and the country at large!) embrace warmer weather and the coming season of public events. February was a very full month for the Friends of Hemingfield Colliery. Events on site and off it filled out the usually short and wintry month, and gave us plenty of news and images to share as we look back on a busy few weeks. 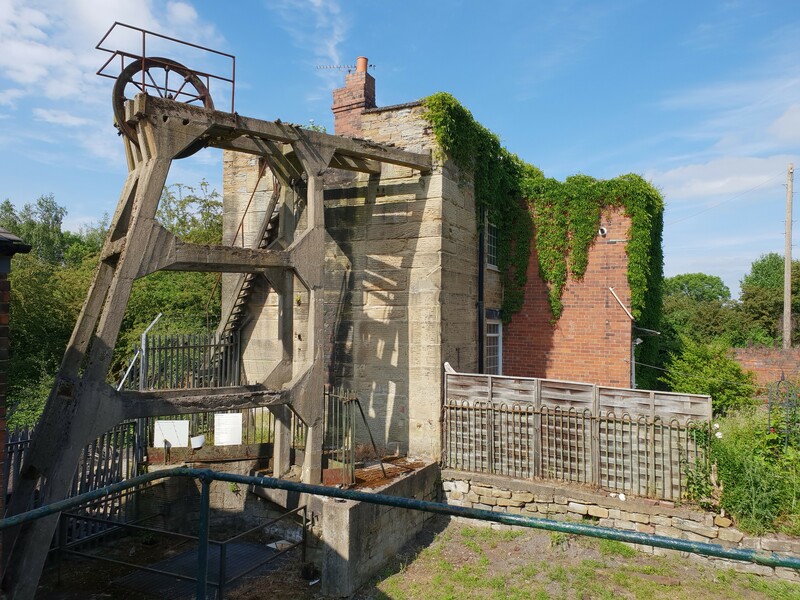 The Friends of Hemingfield Colliery were keen to return to site this Saturday – to open the gates, collect tools, and return to the dig at the rear of the winding engine house. Friends Chair Steve welcomed regular volunteers John, Keith and Paul, followed by Chris. The crew returned to the scene of the earlier discovery of the coal tub, and picked up where they left off, removing the spoil in what is quickly becoming a fascinating area of hidden features.